Blight is probably the most dreadful disease we face in the garden, to which gardeners often remain powerless. 1. 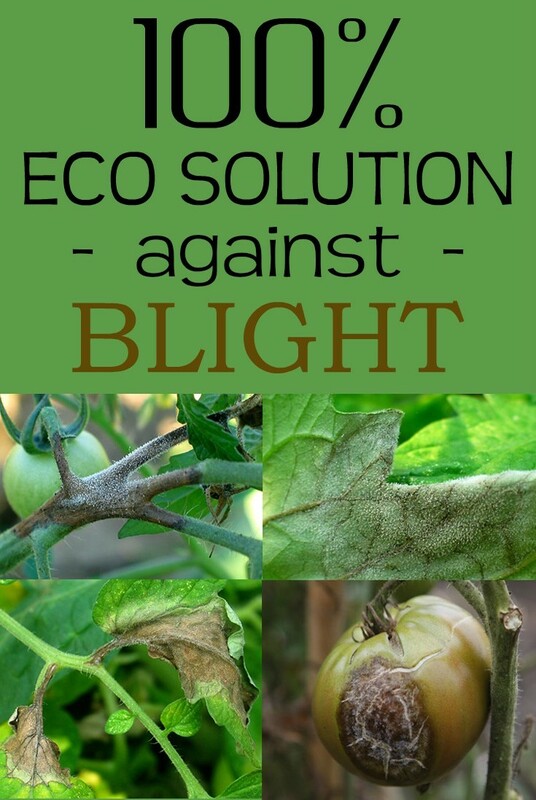 A widespread view is that eco gardening stops when serious diseases occur – such as blight, a disease caused by fungi. 2. Blight requires some of the harshest treatment with systematic application. 3. But it appears that there are other solutions, easier than we expected. 4. A solution whose popularity is growing was discovered more than 50 years ago, in the time when the use of pesticides widespread. 5. It’s the milk we are talking about. 6. It was proved that the weekly application of a solution made of 10-20% milk and 80-90% water on crops of cucumbers, squash, melons, tomatoes and even vines gives better results than a treatment with fungicides. Ideally, this treatment should be done preventively, applying it weekly or twice a week. The water and milk solution is sprayed over the entire plant, especially on the leaves, both on the front and on the back. The treatment is done in the afternoon, when the temperature drops a little. The milk action mode is not well known yet, but it is believed that the milk proteins create an antiseptic effect in contact with solar radiation. Other research has shown that salts and amino acids in milk would explain its action against pathogens that cause blight. Cow’s milk, preferably fresh and raw, gives the best results. Commercial milk and even whey also give good results. The treatment is 100% natural, completely nontoxic, very cheap and no residue remain after the application.